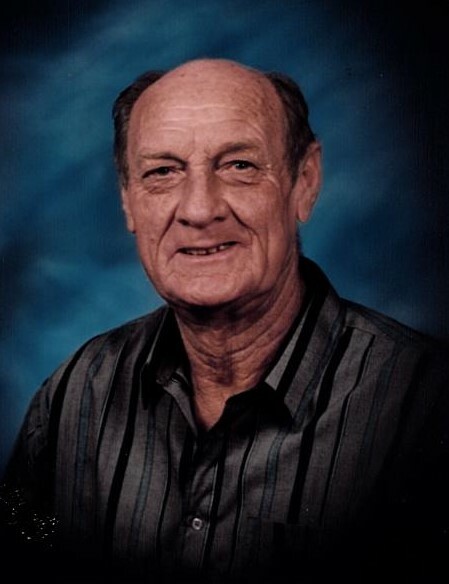 Visitation for Albert (AF) Seifert Jr. 84, of La Grange will be held Wednesday 5:00 p.m. until 7:00 p.m. in the Fayette Memorial Funeral Home Chapel. Funeral services are scheduled for Thursday January 31, 2019 at 11:00 a.m. at Mt. Calvary Lutheran Church. Albert was born to Albert and Leonie (Keilers) Seifert Sr. on January 18, 1935 in Oldenburg, Texas. He got married to Ruth Ann Heintschel on December 26, 1955. He was baptized in Warrenton, Texas and confirmed at Zion Lutheran Church. He worked at Farmers Lumber Co over 40 years; was a member of Mt. Calvary Lutheran Church in La Grange, Texas. Albert and his wife Ruth enjoyed dancing as well as listening to polka and waltz music over the radio. He liked to watch old western TV shows daily in the comfort of his home. When he was able to still drive Albert liked to go to town and visit with his friends, but out of it all he loved to tell stories of his younger days. He is survived by his daughter Kathryn Chovanec and her husband Peter of La Grange, daughter in law Shelli Seifert of La Grange, Grandchildren Kevin Seifert Jr and fiancé Ruby, Chris Seifert and wife Olivia, Miles Seifert, Roxxanna Seifert, PJ Chovanec and wife Nita, Josh Chovanec and wife Candace, Step grandson Robert Neeley and wife Cheryl, 12 great grandchildren, sister Joyce Dippel, Sister in law’s Gladys Svec and husband Theo, Artie Lee Schultz, Brother in law’s Lambert Heintschel and wife Angela, Milton Heintschel and wife Ann, Leon Heintschel and wife Joan. He is preceded in death by his parents, son Kevin Lynn Seifert, granddaughter Stephanie Chovanec Cofer, brother in laws Onie Dippel, James Schultz, Robert Henneke, and sister in law Leara Henneke. Family suggest memorial donations be made to Mt. Calvary Lutheran Church 800 N Franklin St, La Grange, TX 78945 or Hospice Brazos Valley 1048 N. Jefferson La Grange, Texas 78945.